Our Mixed SeaVeg is a seasonal blend of chopped sea vegetables, comprising of Irish Dulse, Irish Purple Laver, Irish Sugar Kelp, Irish Sea Spaghetti, and Seasonal Green Ulva related species. 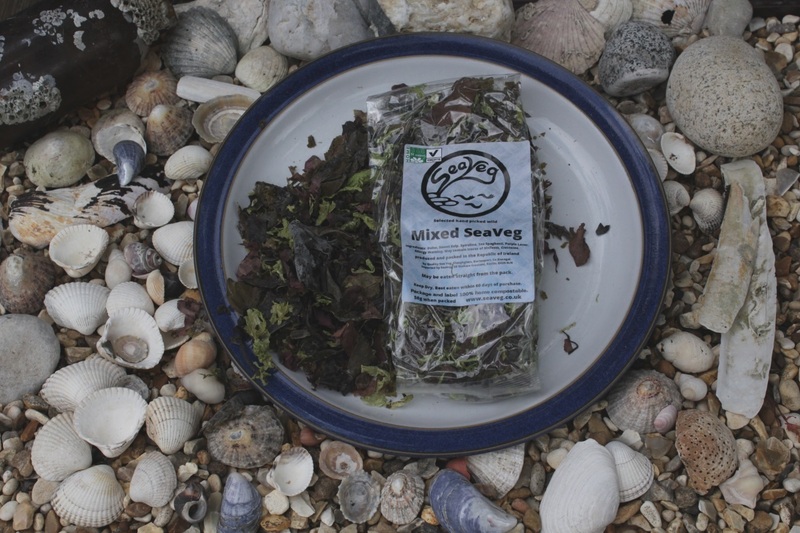 Our Wild Irish Mixed SeaVeg is supplied in 50g compostable cellulose bags. Also available in 25g small flakes, and 240g Catering packs - both small flakes and normal. Catering packs are supplied in poly-bags until we find suitable compostable bags. Our Wild Irish Mixed SeaVeg is great for eating raw, or adding to soups stews or salads.